DAVID LE/Staff photo. 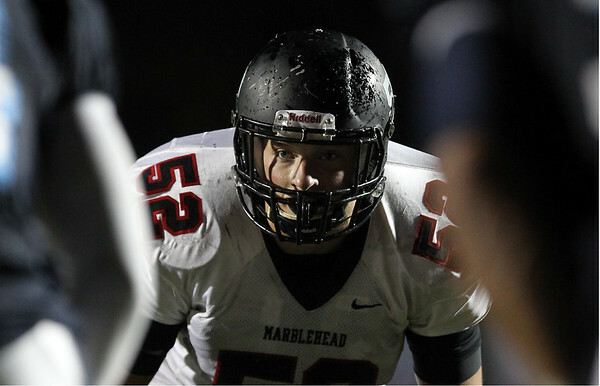 Marblehead sophomore linebacker Aidan Gillis (52) eyes Peabody running back Doug Santos. 10/2/15.